Organizations today must actively search for more efficient ways to conduct business. That is our mission at Tri-State Business Systems. We provide data collection products to meet the needs of your facility whether a manufacturing plant or a school. At Tri-State Business Systems, we are your complete source for finding the best wireless barcode scanner to improve efficiency and the necessary barcode supplies including labels, ribbons and printers. Whether you are in a rugged industrial environment, or a sensitive medical area, Tri-State Business Systems will help discover the optimal barcode scanner for your objectives. A Wireless barcode scanner from Tri-State will pay for itself in increased productivity and superior, accurate, inventory control. We can work with you to select just the right barcode scanner for seamless integration with your other networks and information systems. 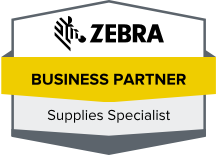 Not only can we assist you with your wireless barcode scanner, but we also have a full line of supplies, including barcode labels, printers, thermal ribbon and software. Contact us to today discuss how Tri-State Business Systems can make your organization more efficient with a wireless barcode scanner or one of the many other data capturing tools we have available from New York, Michigan, Texas, Florida, New Jersey and across North America.